9ct yellow gold Amethyst stud earrings. Set in a classic four claw setting with 5mm width. A gift she'll treasure. 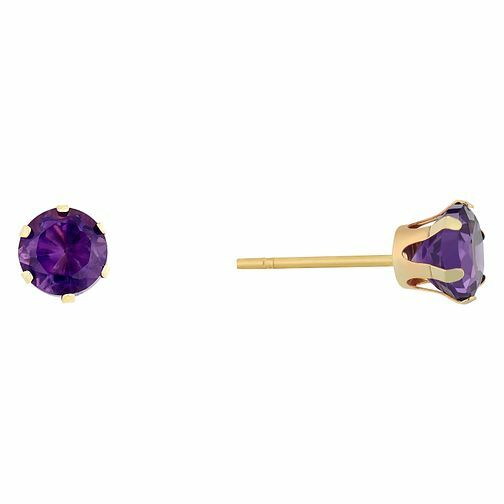 9ct Yellow Gold Amethyst Stud Earrings is rated 4.5 out of 5 by 10. Rated 5 out of 5 by Anonymous from Great value Lovely little pair of earrings ,beautiful colour delicate and well made. Rated 5 out of 5 by Anonymous from Perfect gift! I bought these for my grandaughter's 21st birthday. They were lovely and she was delighted. The price was very competertive and the speed of delivery good.